Skype for Business is one of the most well-known unified communications platforms in the world. You can instant message, make phone and video calls, screen share and so much more. The best part is the basic Skype for Business version is free! Skype for Business is so great that in our latest update of gloCOM, we added a module that integrates gloCOM with Skype for Business. The idea behind adding this module was to provide an integration between Skype For Business clients and the user’s phone system. We realize that not everyone has gloCOM and Bicom Systems believes in unified communications. Integrating gloCOM and Skype for Business will allow you to talk to customers, clients or potential new hires without having to switch platforms. This is a great tool for companies using gloCOM that want to have video interviews with external candidates. The Skype for Business integration with gloCOM allows you to click any Skype for Business contact and start a call or conference using your PBXware phone system. This gives users the ability to use their desk phone, softphone or mobile device to the make the call. It takes less than a minute and a few clicks from your mouse to call anyone from your list of Skype or gloCOM contacts. As mentioned above, the integration enables you to make calls right from your gloCOM interface. This is useful for users who are already familiar with the gloCOM platform. 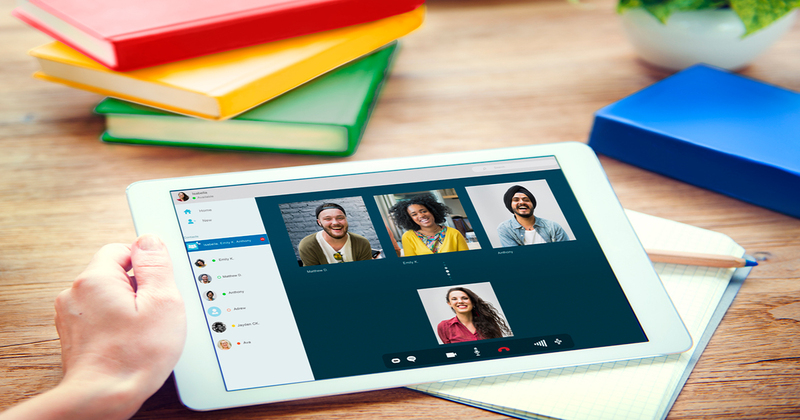 You can also invite gloCOM contacts into conferences with Skype contacts. When you update your Skype for Business online presence, it will automatically sync with your gloCOM status (and vice versa). For example, if you are on a call with ANY device, your Skype for Business status will change automatically. Not only will your gloCOM contacts see you are unavailable, so will your Skype for Business contacts. Once the call is completed both statuses will revert back to the previous state. The Skype module will integrate with all your PBXware devices. You will have all these features on your desk phone, softphone or mobile phone. This integration makes it possible to be productive from anywhere at any time. To find out more about Skype for Business integrating with gloCOM, watch this video. The features of this integration will boost collaboration, increase productivity and give your business a competitive advantage. It will reduce travel costs, phone costs and will allow you to easily stay in touch with clients. Skype for Business and gloCOM integration makes day-to-day communications simple and effective. The combination of the two platforms eliminates the decision between one or the other. Why have one when you can have both? If you want to learn more about gloCOM visit our website or send our sales team an email at sales@bicomsystems.com.